The Peoples Democratic Party (PDP) has raised alarm over an alleged plot by security operatives to arrest and detain the Senate President, Dr Bukola Saraki, and his deputy, Senator Ike Ekweremadu. PDP National Publicity Secretary, Kola Ologbodiyan, made the allegation in a statement on Sunday. He alleged that the arrest was planned to come ahead of the reconvening of the National Assembly and to purportedly hold the Senate leaders back from the sitting and, thereafter, impeach them in their absence. 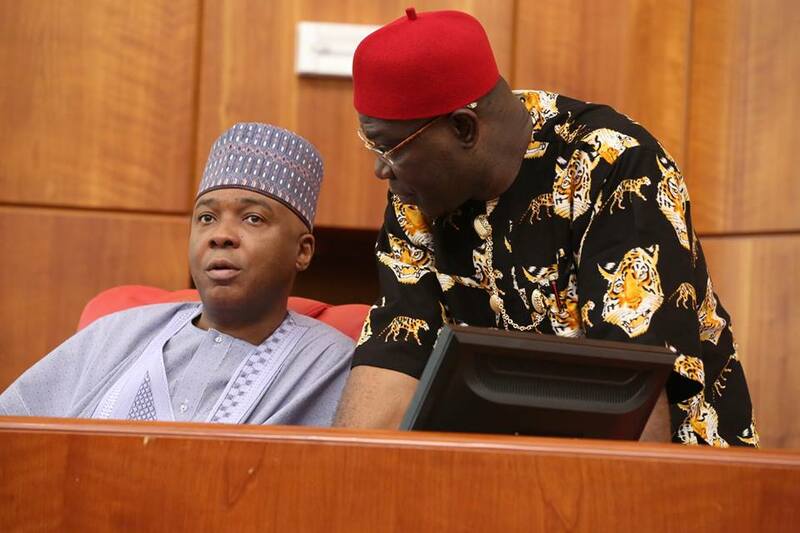 “The fresh plot to detain the two presiding officers is part of renewed design to keep them out of circulation, ahead of Senate resumption, so as to enable the APC senators, who are now in the minority, to throw up two of their members as Senate President and Deputy Senate President respectively on the excuse that Saraki and Ekweremadu failed to show up for proceedings in the Senate,” the National Publicity Secretary claimed. Ologbodiyan accused the ruling All Progressives Congress (APC) of being behind the said arrest and detention of the Senate President and his deputy. He added that part of the plot was to purportedly use security forces and some government agencies to clamp down on the family members of the Senate leaders. The PDP spokesperson, however, called on Nigerians and the international community to prevail on the ruling party to shelve such plan. “In all, the PDP cautions the APC and power mongers to know that Nigerians have seen through their intentions and will continue to firmly resist them by standing for democracy and the unity of our nation at all times,” he said. The opposition party made the claims two days after Senator Saraki and Senator Ekweremadu accused the Federal Government of planning to implicate them in the recent blockade of the National Assembly by security operatives. In a statement on Friday by their media aides, Yusuph Olaniyonu and Uche Anichukwu, both leaders had alleged that the government was also executing a plot to implicate their colleagues in the PDP.